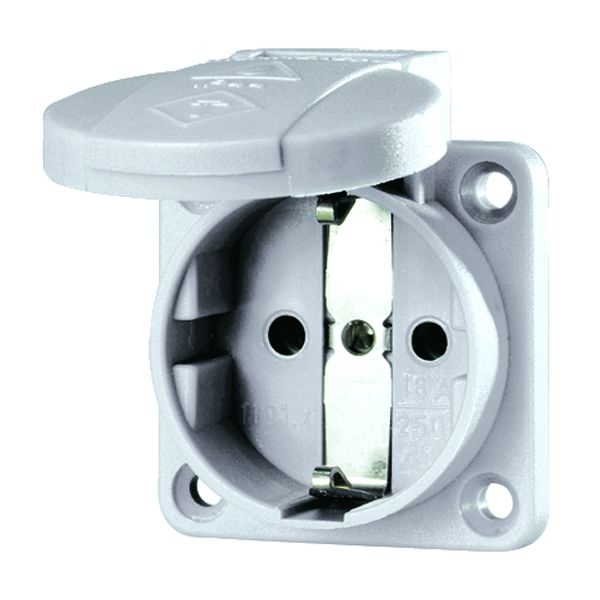 Panel mounted socket IP54 (Grey) | DamenCNC B.V.
A socket we often use in projects. It is a simple high/quality product. 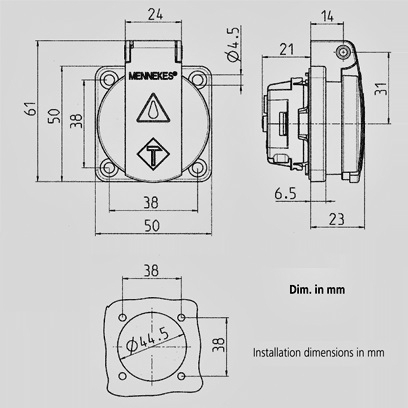 The build in depth is very short, this makes it easy when mounting in small controllers. The plastic is impact proof.